How do I exit a No-Show student in PowerSchool that was a new student? 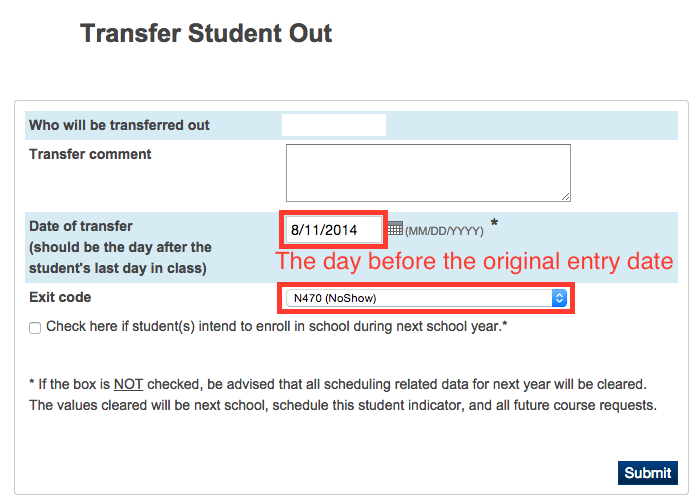 Step 1: Take note of the current enrollment Entry Date. Step 2: Transfer the student out of the school. But what if I get the following error? 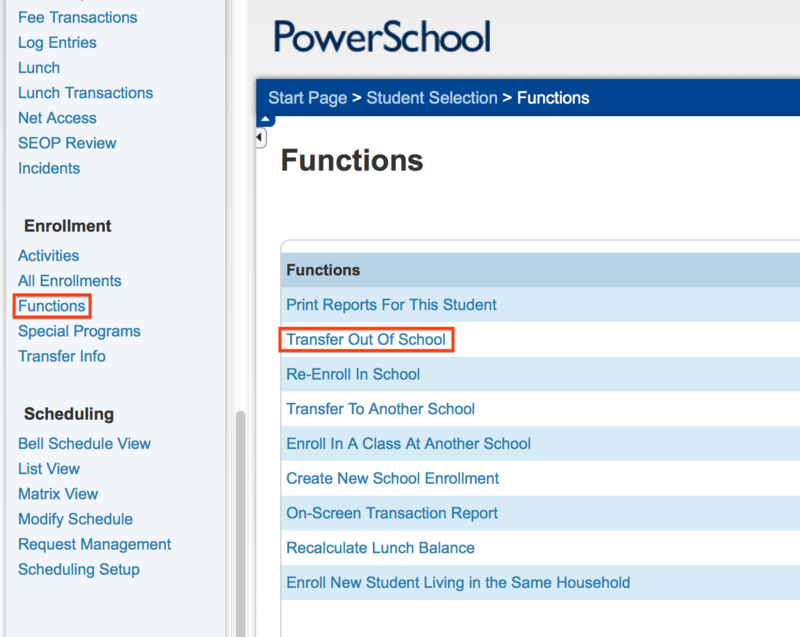 This article will explain how to properly exit a student in PowerSchool that is a no show. Before we start changing things, we need to be very clear about the type of student it was that did not show up. Returning student no-show: This student attended the school in previous year, was enrolled on the last day of school before summer and was expected to return after summer. If this is your case, please see the article here. This article will walk through the process for exiting the new student no-show. Under Entry date, you should see the expected entry date for the student that did not show up. Write this date down. Set the Exit Date to be the day BEFORE the original Entry Date, , the Exit Code as code N470 – No Show Other, and press Submit. This is a common error that occurs when the student has already been listed as absent for several days. If this is the case, all attendance must be cleared before we exit this student. To do so, follow Step 1 ONLY from the following article.